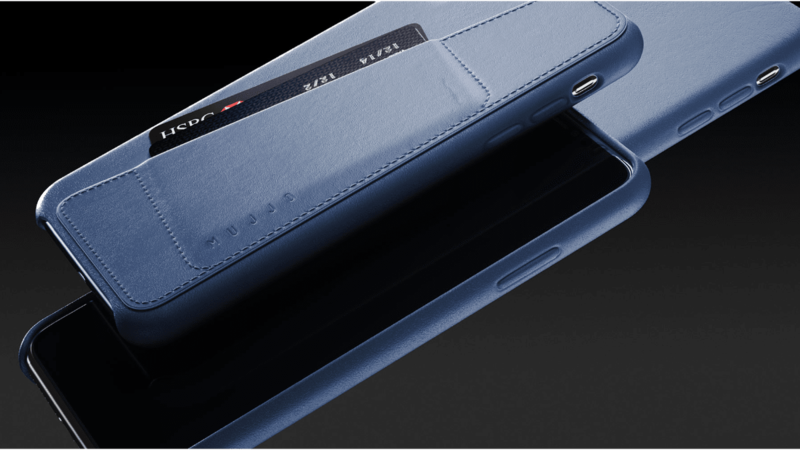 Mujjo is launching a new line of blue leather cases for the latest iPhones. It’s not just any blue. They selected this deep shade of blue which contrasts beautifully with the iPhone’s black bezels and picks up very subtle hints of purple and green in different lighting, reminding us of the inky shades of the deep ocean. It’s a striking blue that stands out from the blacks and the greys, fit for a day at the office or a day at the track, while remaining formal when it needs to. Rest assured, you can go about your day looking the part, whatever the part, knowing you’ll make a good impression. The case adds very little thickness to the iPhone. The edges are raised by 1 mm so that the screen doesn’t touch the surface when you put it down. The buttons are covered in leather and designed to take nothing away from responsiveness. Openings for the camera and mute button are chamfered, adding to the aesthetic of the cases. These cases are crafted to fit the iPhone XS, iPhone XS Max and iPhone XR.